The ‘Titan’ rocket family was marketed as an economical alternative to the ‘Olympus’ rocket family. Following the initial Munar landings, the demand for super-heavy launchers tapered off as the Kerbal Space Agency and commerical organizations looked for more conservative lift solutions. 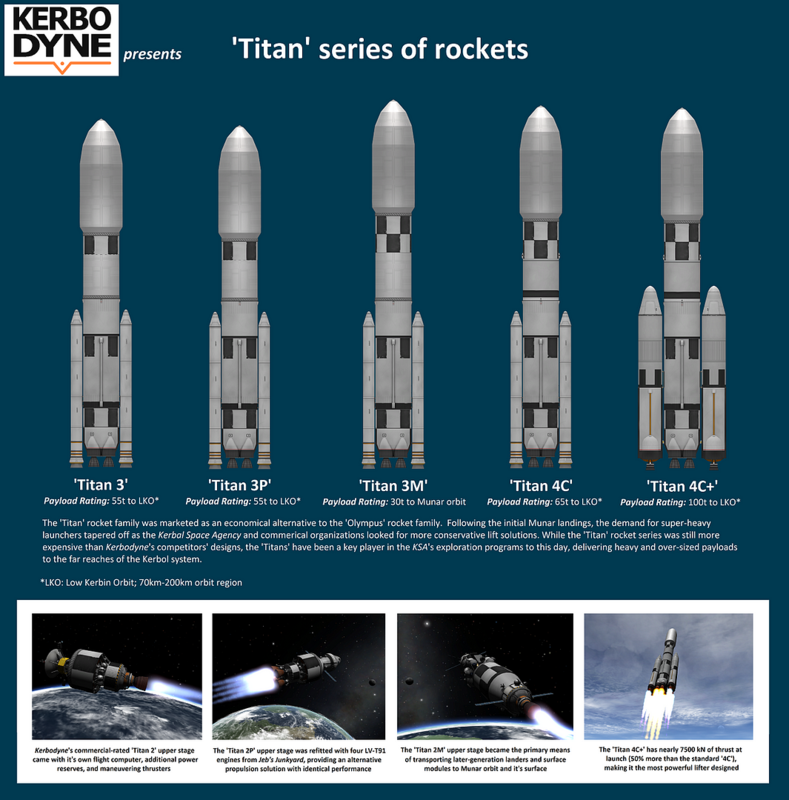 While the ‘Titan’ rocket series was still more expensive than Kerbodyne’s competitors’ designs, the ‘Titans’ have been a key player in the KSA’s exploration programs to this day, delivering heavy and over-sized payloads to the far reaches of the Kerbol system. For more lifters of various sizes and payload ratings, check out the Rocket Market.